She described her mother as her best friend, her sister, her confidant — "my everything." In her first interview since Whitney Houston's death, daughter Bobbi Kristina Brown said she's "doing as good as I possibly can" and recalled the tender last moments she shared with her superstar mother before her sudden death last month. "She's always with me," said the 19-year-old, Houston's only child and sole heir. "Her spirit is strong, it's a strong spirit. I feel her pass through me all the time." 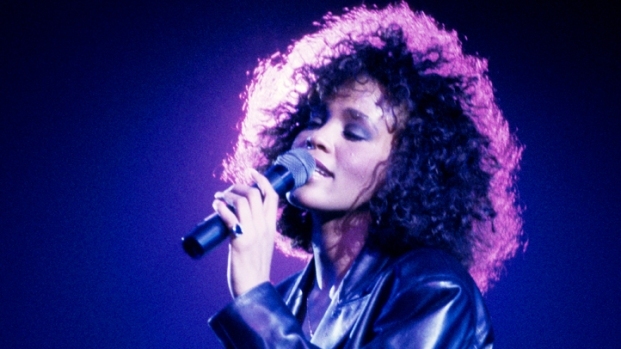 Brown made the comments in a Sunday interview with Oprah Winfrey on Winfrey's network, OWN, that also featured Pat Houston, the singer's manager and sister-in-law, and Gary Houston, the brother of Whitney Houston. Brown credited her family and God for helping her cope since her mother's death on Feb. 11 at the age of 48. "It comes in waves. One moment I can be happy and laughing, but then it comes over me. It's my mom," she said. Houston, who had struggled with drugs and alcohol in the past but according to family had been apparently clean, was found in a bathtub at the Beverly Hilton Hotel in Beverly Hills, Calif., on the eve of the Grammys. She was to attend a pre-Grammy party the night she died. Brown said the night before her mother's death, she asked Houston to spend the night with her. "I slept in her arms all day, all night long," said Brown, whose father is singer Bobby Brown. Pat Houston said in the days before Houston died, the singer had not been abusing drugs, despite reports that she had been acting erratically. She said an event she attended two days before her death where Houston looked disheveled was particularly difficult because the legendary performer got into a verbal spat with a former contestant on the "X Factor." Pat Houston would not name the woman, but Stacy Francis has said that she and Whitney Houston had words that night. According to Pat Houston, Francis "made herself present everywhere we were," unnerving Houston and leading to an argument. The day of her death had been uneventful, according to her manager. Houston had lunch in her hotel and was preparing for her mentor Clive Davis' annual party. Houston was scheduled to tape an infomercial and other interviews that day. Pat Houston went out to run errands for about a half hour and when she came back, Whitney Houston's assistant went to check on the singer. "When I headed down the hallway (to her room), I heard screaming," she said. When Pat Houston arrived in the room, she saw the singer's security guard frantically trying to revive her ahead of the paramedics. He told her: "I tried." Pat Houston said the singer had "a peaceful look on her face." The cause of Houston's death has not yet been revealed. The 90-minute television special also touched on the singer's ex-husband, Bobby Brown, who had a tumultuous marriage with Houston. While some have accused Brown of introducing Houston to drugs, leading to the once pristine singer's downfall, Pat Houston said that was untrue, and both Pat and Gary Houston had warm words for Brown. "I loved Bobby Brown. Bobby was a good guy," said Gary Houston, her older brother. "I don't know how good they were for each other." They also denied that the Houston family had asked Brown to leave her funeral service or didn't want him to come; Brown showed up briefly but left after a dispute over seating. "Bobby was supposed to be there," said Gary Houston. Pat Houston said Bobby Brown and his daughter have a relationship, but indicated they hadn't spoken since at least Houston's funeral. Bobbi Kristina Brown said she planned to carry on her mother's legacy and become a singer, as well as act and dance. She expressed frustration over the "negativity" surrounding her mother's image: "That's not my mother." Instead, she described her as her confidant, a sister, her best friend — "my everything." She still spends time in the house she and her mother shared together, and at times said it's hard to believe she's not there. "Sometimes, it's so surreal. I still walk into the house like, 'Mom?'" she said. "But I've accepted it."